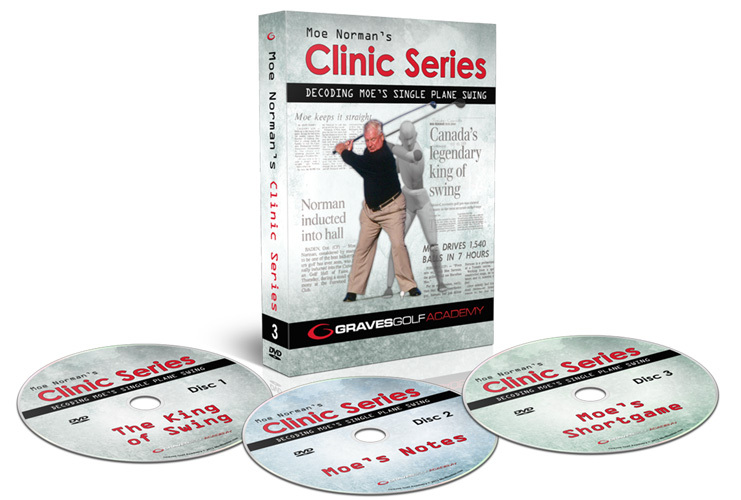 This DVD is doing something that’s never been done here at the Graves Golf Academy, and as far as I know, is the ONLY training you can access ANYWHERE that is using this technology to improve your understanding of the exact swing motions you need to follow to get more consistency in your golf swing. If you’ve been to one of my schools in the last couple of years, you more than likely heard me talk, maybe more than you would have cared to hear, about the biomechanics and physics behind the single plane swing. But it has paid off. 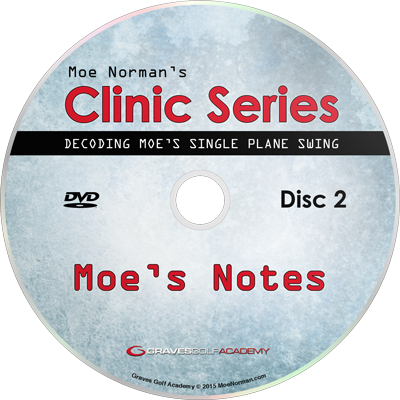 You Finally Get To DECODE Moe’s Swing! I, with the help of my team and some of most cutting-edge 3-D and physics modeling software and video production equipment in the world, have distilled the subtleties of Moe’s commentary and swing into something real and tangible. After hours of modeling and studio work, in combination with the rare, nearly-lost-forever footage of Moe, I’ve made a huge leap forward in my understanding, but more importantly, my ability to CONVEY that understanding to my students. 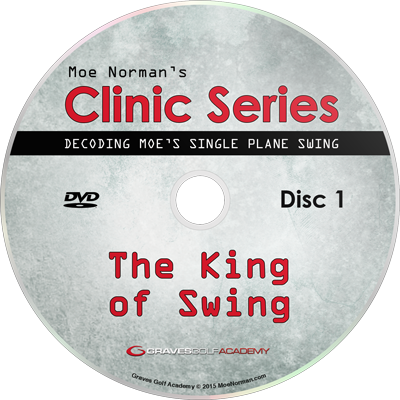 And for the first time ever, I’m combining this never-before-seen footage of Moe in action with the cutting edge physics and 3-D modeling work that distills Moe’s feelings into an actionable system of swing steps and body positions into one multi-DVD box set. And that’s not all! 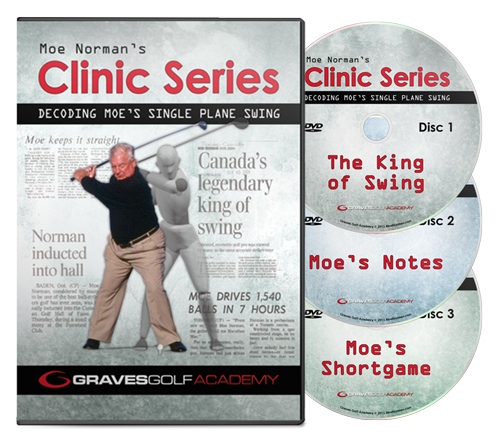 These first two DVDs in this training create a core understanding of these consistency-focussed, muscle-memory swing motions. •A Full Training in and of Itself! Moe’s short game swing secrets taught from the biomechanic perspective. And you’re getting it from a guy is able to convey the subtleties of this aspect of the game like nobody else I know. You’re going to love it.